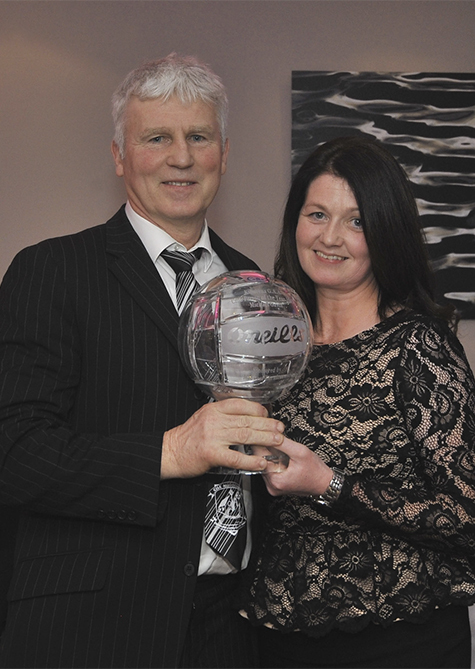 The recently held Valentine's Dinner Dance provided the ideal platform for presentation of the Club's Annual Awards to those deemed to have made a special contribution to the Club and Community during 2015. 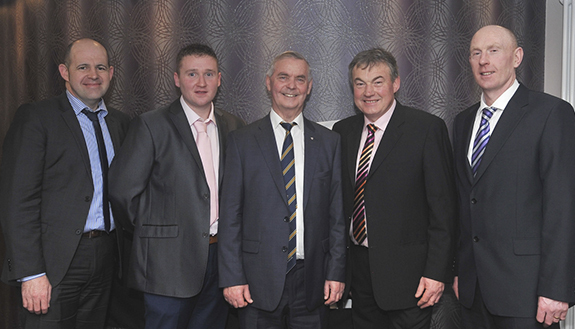 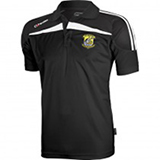 Registrar Damian Hughes; Secretary Paul Ryan; Chairman Willie Keaveney and Treasurer Padraic Moore. Kilmeena County Minor Champions proudly displaying the trophies won during the year with their managers John Ryder and Darren Madden. 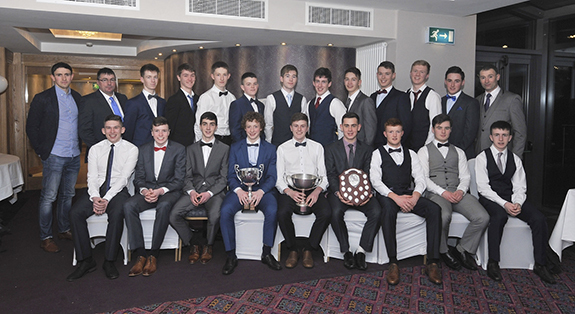 Mayo County Footballer Jason Doherty, at left, back row, presented the players with their individual awards. 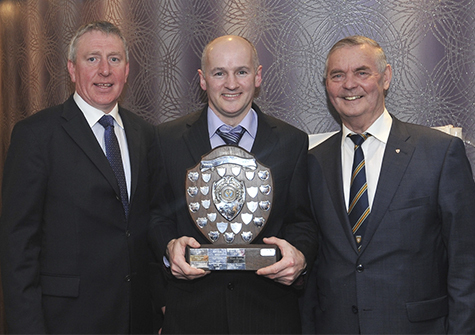 Pat Mulchrone accepted "Player of the Year" award from Mickey Feeney and Brian McEniff at the Kilmmena GAA presentation night. 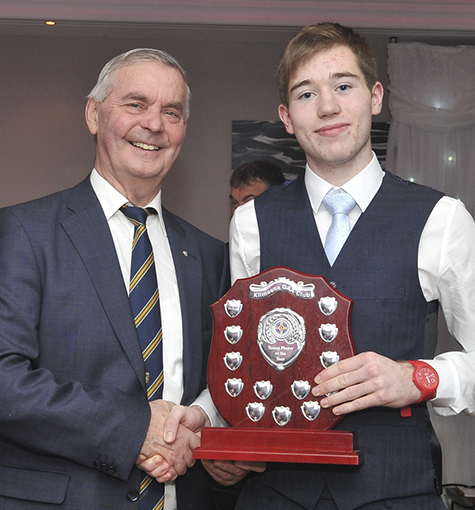 Special guest at the Kilmeena Club celebration night Brian McEniff, presented "Minor Player of the Year" award to Conor Madden. 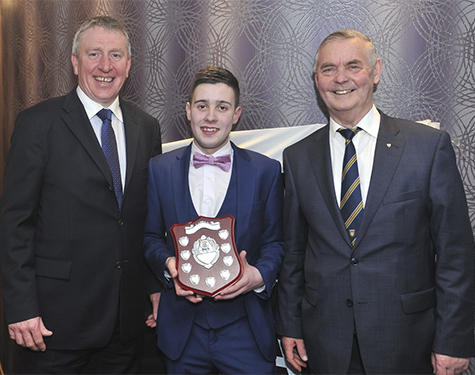 Mickey Feeney and Brian McEniff presented the "Most Improved Player of the Year" award to Sean Barrett. 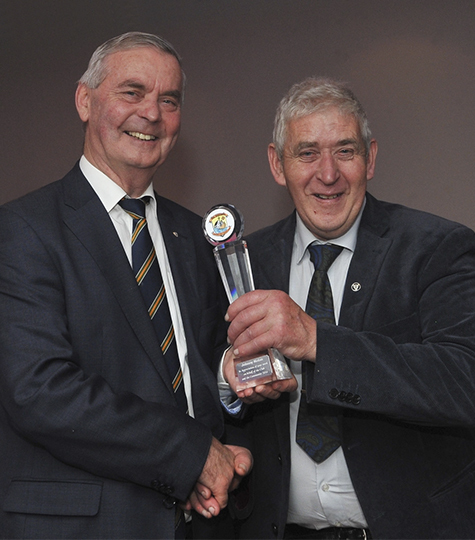 Johnny Nolan is pictured accepting the "Club and Community Service" award from guest speaker Brian McEniff.